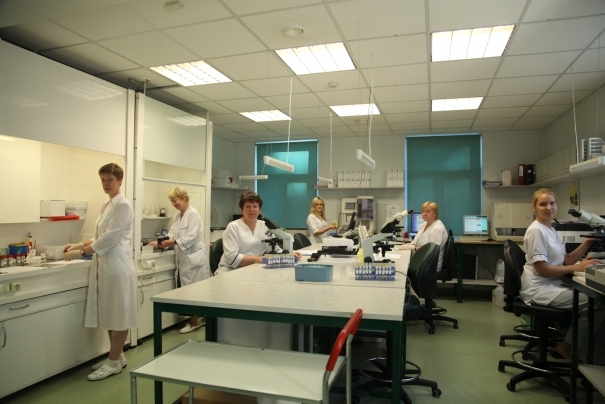 E. Gulbis Laboratory Ltd provides it’s services to, on average, 5300 patients a day. After 1,32 million testing requests, 8,65 million analyses were performed in the year 2018. E. Gulbis Laboratory is the largest clinical laboratory in Latvia that performs biochemical, microbiological, chemical, immunohematological, hematological, cytological, immunological, biophysical, cytogenetic pathalogic analysis of both human and animal material in order to provide disease diagnostics or health evaluation. The laboratory provides consultations in all aspects of laboratory’s examinations and if necessary helps the client to choose the most appropriate tests. The laboratory provides services to primary and secondary medical service providers, institutions that perform scientific research in bio-medicine (pharmaceutical companies) and to other interested clients. The laboratory is aware of existent and future needs of the clients and tries to give more than the client expects. understand that patients and clients are the basis of the laboratory, and appreciate them accordingly. Staff expresses this understanding by being obliging, concentrating to quality and providing a service of the highest level which is based on the needs of patients and clients. Since September 12, 2003 the laboratory is accredited. It acknowledges our competency to perform testing corresponding to international standard LVS EN ISO/IEC 17025; since October 8, 2007 – LVS EN ISO 15189:2007 and since December 17, 2008 – LVS EN ISO 15189:2013 thus ensuring international recognition of our testing results. In accordance with quality control program all required quality control operations are performed every day. The laboratory’s employees participate in international quality control programmes in Finland, Germany and Belgium, thus providing international laboratory performance and quality standards for E. Gulbis Laboratory. The laboratory works 24 hours a day therefore providing the urgent needs of hospitals and ambulatory doctors. The following departments have been established in the laboratory: haematology, hormonology, clinical chemistry, haemostasis, serology, molecular biology, citogenetics, bacteriology, cytology and the department of clinical analysis. When collecting the material we use disposable systems thus providing complete safety for the patients, medical staff and eliminating possible contamination errors in analysis. The laboratory has established it’s own branches and therefore offers it’s services to doctors and patients in every region of Latvia. Also a courier service has been formed to transport the material to the laboratory and, if necessary, to transport testing reports to clients. We deliver testing reports by courier, mail, fax, phone and e-mail. In clinically important cases the results are immediately delivered to the doctor who assigned the analysis. The laboratory collaborates with worlds biggest courier service providers : TNT, DHL, World Courier, so in case of need it is possible to transport the material to other countries. In case of need, agreeing with the client from 8.00 to 12.00, it’s possible to arrange a service at home, but only in Riga and Riga region. The results (testing report) can be received where the material was given or in any other patient service centre. in urgent cases, by phone if the client tells the operator the patients full name and a special number that the patient has been given when registering the material. All testing results since January 1, 2004 are saved in a data base and are accessible immediately. The material for testing (serum) is stored frozen for one month so the testing can be continued or verified (which means there is no need to collect the blood again and operativeness is faster). The quality is ensured by planned and systematic operations which are done in correspondence with quality control and are all documented to ensure adequate confidence that the laboratory provides qualitative services. We collaborate with the majority of hospitals, ambulatory medical institutions, and individual doctors. The following insurance companies have also become our collaboration partners: AXA PPP International, Balta, Baltikums Dzīvība, Balva, BAN, BTA, Compensa Life Vienna Insurance Group, ERGO Latvija, Gjensidige Baltic, IF Latvija, Seesam Latvija. Since 1994 we attend NVD (National Health service) patients from all our branches. Since 1994 E. Gulbis Laboratory collaborates with leading medicament manufacturers – MSD (Merck Sharp & Dohme Idea), Glaxo Wellcome, Janssen-Cilag, Synthelabo, Sanofi-Aventis and others, that perform medicament clinical (phase III-IV) research in correspondence with Good Clinical Practice/ICH standards. 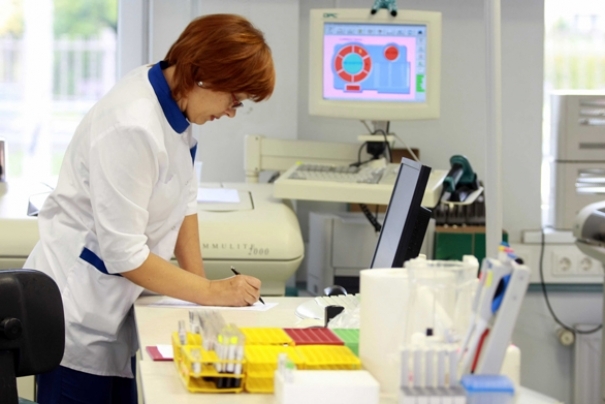 In the year of 2013, E. Gulbis Laboratory has participated in approximately 40 clinical studies in which tests from biochemistry, microbiology, chemistry, imunhaematology, haemotology, immunology, molecular biology fields were performed. Our quality for GCP/ICH and Good Laboratory Practice standards have been tested by international audits (USA Food and Drug Administration and others). We provide training for medial medical personnel of our collaboration partners. We organize seminars and lectures for clinical doctors and present news in disease laboratorial diagnostics, finding optimal solutions for clinical problems. E. Gulbis Laboratory Ltd exercises regular personnel qualification – lectures, seminars, participation in efficiency courses, international congresses. All medical personnel is certified. integrated computer system (computer network with 60 workstations). Most important equipment has replacement doubles so that the defective instrument can be replaced without slowing the result delivery rate. Backups of all data on the hard drives are made every day. These backups are stored on a special separate data carrier so in case of need all information can be fully restored on a replacement server.